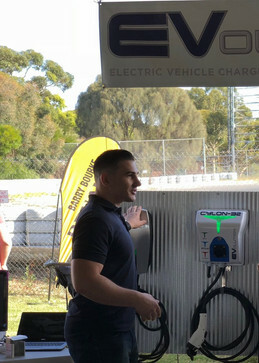 Did you see us at this year’s Alternative Technology Association’s EV Expo? We got the chance to attend this incredible event to see / try out some truly amazing machines! We also had our own EV set up, where you could meet and greet the EVolution team! If you don’t know much about ATA, their aim is to “enable, represent and inspire people to live sustainably in their homes and communities” and electric cars are now a huge part of that. We got to see and try some of the largest range of Electric Vehicles available in Australia, with the most advanced technology! There were also many experts and special guest seminars to share your opinions and network. Make sure you save the date for 2019!